The De Soto School District’s Board of Education will meet Monday, April 9, at 6 p.m. Most of the board’s agenda for that evening appears to be devoted to the routine but necessary details of governance, such as installing new lockers at Monticello Trails Middle School and spending more than $83,000 to replace 20-year-old band uniforms at De Soto High School. 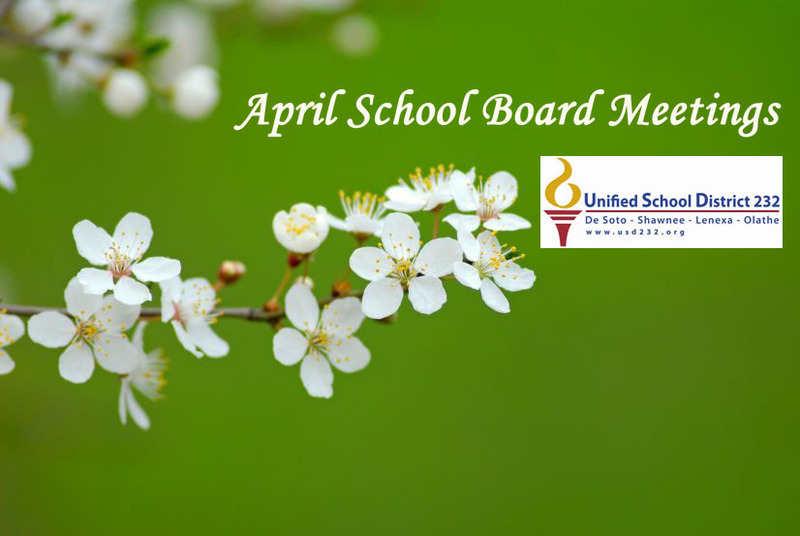 The Board of Education meeting, which is open to the public, will take place in the district Administration/Board of Education Building; 35200 West 91st St.; De Soto, KS 66018.